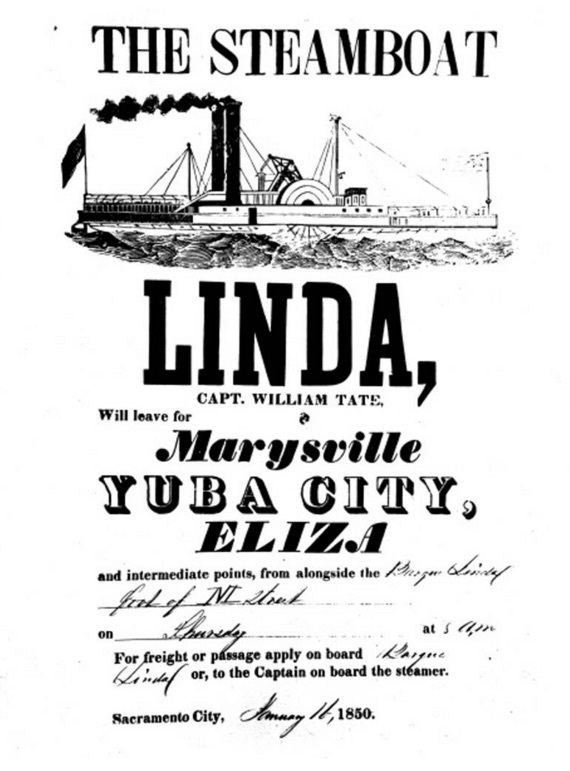 An advertisement for the steamboat Linda, traveling among Sacramento, Marysville, and Yuba City, California along the Feather River, 1850. “Steamboat Linda,” Digital Public Library of America, http://dp.la/item/ba7c0acab0a66e26fdf0819cc019ee12. Courtesy of Yuba County Library via California Digital Library. A patent granted by the Georgia Assembly to Isaac Briggs and William Longstreet for their steam engine, 1789. Excerpts from A Rudimentary Treatise on the Steam Engine by Dionysius Lardner, 1848. A print depicting Robert Fulton’s steamboat, the Clermont, which had its first successful journey in 1807. A chart of steam vessels built in New York City by Robert Fulton or according to his design, 1790-1816. A broadside advertising the steamboat Nyack, which offered ferry service between Nyack, New York and New York City, 1827. A photograph of a multi-level steamboat in New Orleans, Louisiana. A photograph of cotton on the levees in New Orleans with river steamboats in background, ca. 1870s-1880s. A photograph of a railroad car before steam locomotives, ca. 1834. A stereograph of passengers at a train station in New Hampshire’s White Mountains, ca. 1850. A photograph of the Pioneer, a steam locomotive, which was built in Boston and put into service in San Francisco, ca. 1868. An 1863 bond sold by the East Tennessee and Virginia Railroad. A broadside advertising the Red Bird line as a travel alternative in “opposition to the railroad,” 1847. Excerpts from Disturnell’s New and Complete Railroad and Steamship Guide, 1857.